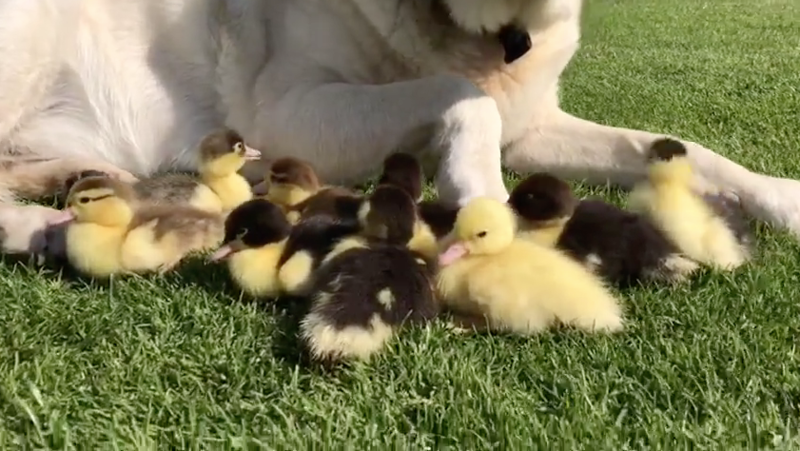 Home News	Nine Orphan Tiny Ducklings Have Been Adopted By A Labrador, And The Pics Are Adorable. When two animals become best friends, it’s always heart-warming. 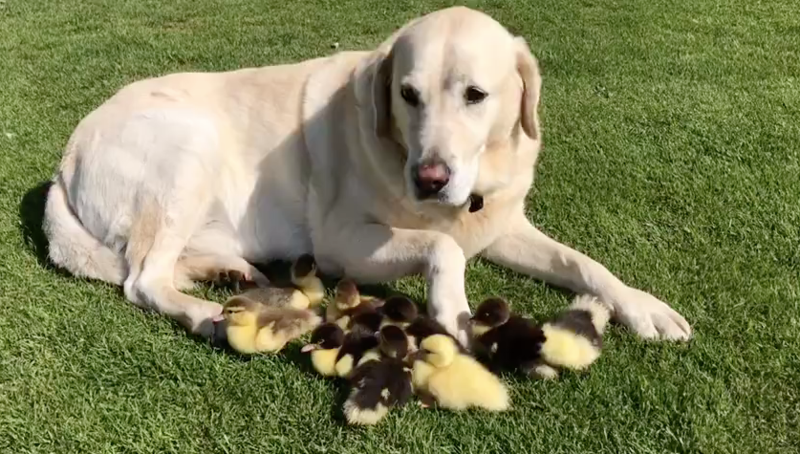 So when we discovered that Fred the Labrador had adopted nine tiny ducklings who were orphaned by their mother, our hearts melted. 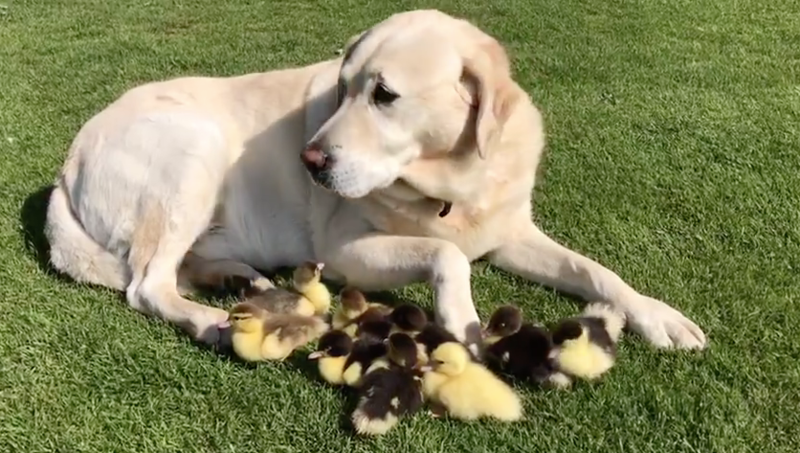 Fred, 10, is the resident dog at Mountfitchet Castle, Essex, and has been babysitting the ducks after staff noticed the nine soldiers wandering around alone. A spokesperson for the castle said: “The ducklings absolutely adore him and he has now resigned himself to being a stay-at-home dad looking after the nine baby ducklings. Soon, the nine ducklings will be old enough to fend for themselves, relieving the hound of his duties.